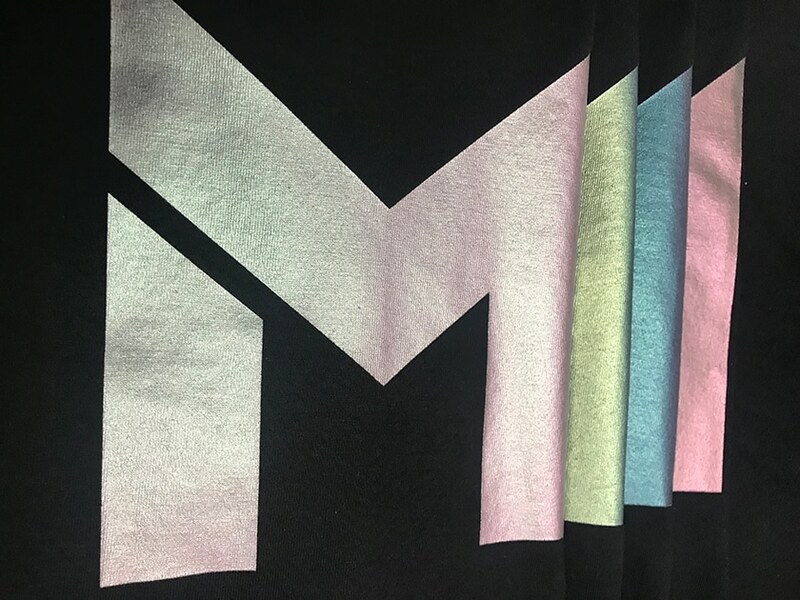 United Kingdom-based MagnaColours has launched a new ink, MultiChrome Pearl, that helps textile screen printers achieve a two-tone pearl effect. MultiChrome Pearl was developed to respond to customer demands and requirements for achieving a more dramatic color shift than the sparkle or glitter effect that other pearl inks provide. The ready-to-use ink provides a much more evident color shift, adding a new dimension to a standard pearl effect. MultiChrome contains specialty pigments, helping to achieve superior color when printed onto stretchy or Lycra-containing fabrics, according to the company. The MultiChrome range, which includes a variety of different colors, was launched last month and is available through distributors. As with all the company’s inks, the MultiChrome range conforms to the highest levels of environmental scrutiny, using the best water-based technology to ensure finishes of the highest quality, according to the company. — J.L.